I will most certainly NOT have a new sweater for Rhinebeck, as many bloggers will (although they may give up on eating and sleeping to do so--right, Yarn Harlot?). 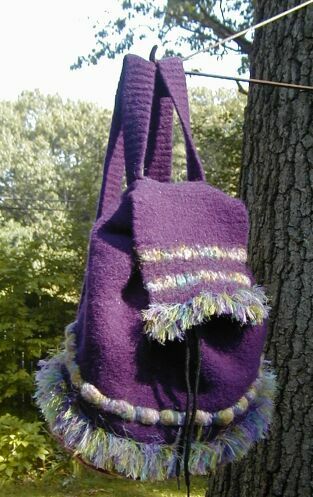 However, I will have the felted bag shown above, which I finished last spring. Time to fill it up!